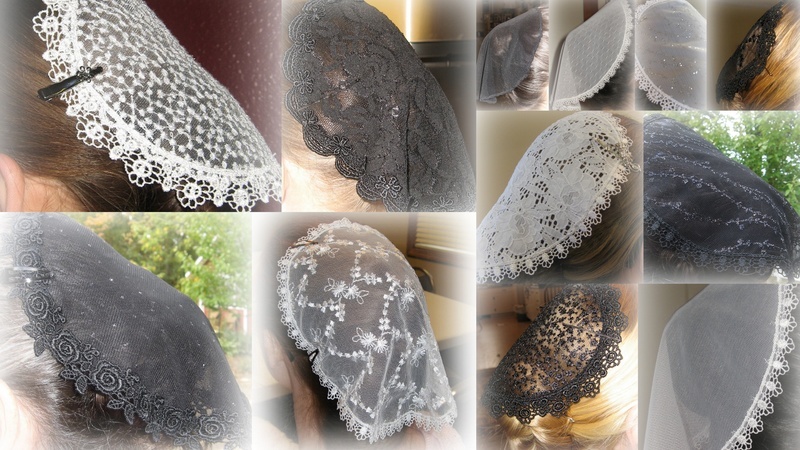 I have veils in Black or White and a variety of fabric and trim to choose from. The white solid fabric and the black sheer I am able to hem the edge if that is preferred. There are three shapes of veils. The A's are an oval, The B's are tear drop shaped (narrower on the bottom side). The C's are just a little tear drop shaped, but more narrow and long. The D's are one inch wider than they are long. NEW!! I have started sewing headscarves and will begin selling them immediately! When placing an order, make sure you check the correct box (the kind of material, trim, etc.) After your order is submitted it will say "Thank you for contacting us. We will get back with you as soon as possible." If you have trouble placing an order, email me the order or give me a call. I will send you a bill electronically once I get your order. Shipping and handling charges will be a minimum of $1.00. I am now offering Pay Pal. Once the bill is paid, I will mail the veil. If you prefer a paper bill, the bill will be in with the veils when I mail them. 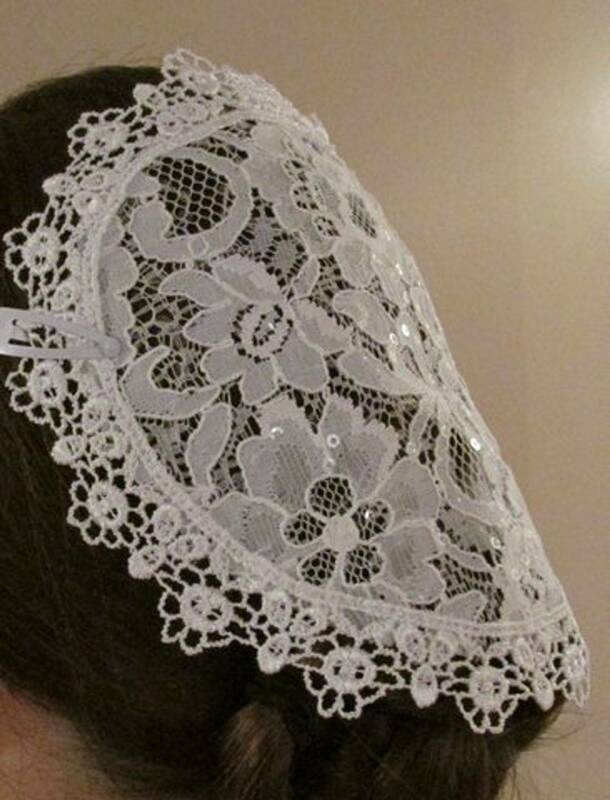 I do not take any returns on any white, solid black or any veils that are hemmed. A $25.00 fee is charged for any check that bounces. NOTE: Any irregular patterns in the fabric are from the resizing of the photo.